The Trifold wallet opens to reveal a well organized interior with a bill compartment, a zip pocket, 7 card slots and a change zipped pocket. 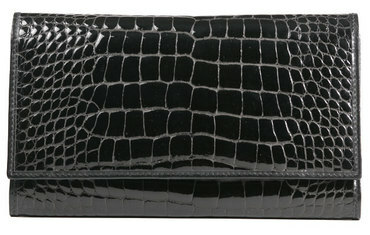 Beautifully crafted, this chic wallet takes on the elegance of a classic clutch. With two long currency pockets, and an additional pocket for receipts and small papers. Snapped flap closure.